At 33 weeks pregnant, your baby will be starting to run out of room and may be moving a little less frequently and dramatically than before. She should still be moving a lot, but may be less able to leap around as much! At 34 weeks she may have developed some sleeping patterns that you may be able to detect by her movement. At 35 weeks he will be putting on about 200g a week and will probably weigh around 2kg and may be about 45 cm long. By 36 weeks he will have put on fat around his whole body and is looking more and more like a newborn baby. You will have a midwife appointment at around 34 weeks. She will take your blood pressure, measure your bump, listen to the baby’s heartbeat, check your urine for UTIs and generally check you are ok and answer any questions you might have. She may want to discuss a birth plan with you, so if you have any strong ideas about the birth such as the cutting of the cord, the injection to help deliver the placenta you could discuss them with her now or at a later date if you prefer. If you do not want to write a birth plan then you can just explain that you wish to keep an open mind and have no real preferences. You will have another appointment at around 36 weeks and it will be similar to the above. Carpel Tunnel Syndrome is relatively common in the last trimester. It is characterised by numbness and pins and needles on the outer three fingers on your hand. It is caused by compression of the nerves as they pass underneath the sheath of the wrist joint. This is because of increased fluid pushing on the nerves. It can cause sleep disturbance and make you clumsy in the morning, especially with your first cup of tea! There is no cure but if the symptoms are bad, they can be minimised by wearing splints that keep your wrists in a neutral position. Your doctor or midwife will advise you on this. Similarly, Tarsal Tunnel Syndrome may occur in the feet causing similar symptoms on the outer toes. Both these syndromes should disappear after you have given birth. It is possible to develop a patch of supersensitive skin on the top of the thigh, which may feel like pins and needles. This is a result of the compression of the nerves at the top of the thigh where the top of leg joins with the abdomen. Irritatingly there is no cure for this sensation but like many of these ailments, should vanish as soon as you have given birth. Rib pain can be a common complaint as the ribs splay out as the baby grows bigger. This movement of the ribs is also needed to allow the lungs to expand properly to keep you oxygenated. It is possible to feel pins and needles and numbness in this area if nerves get squashed here too. Like these other conditions, this will also cease as soon as you have had the baby. Restless leg syndrome is another irritation that can occur at anytime during your pregnancy. It manifests itself as an irresistible urge to move your legs and can often involve an unpleasant creeping sensation in the feet, calves and thighs. 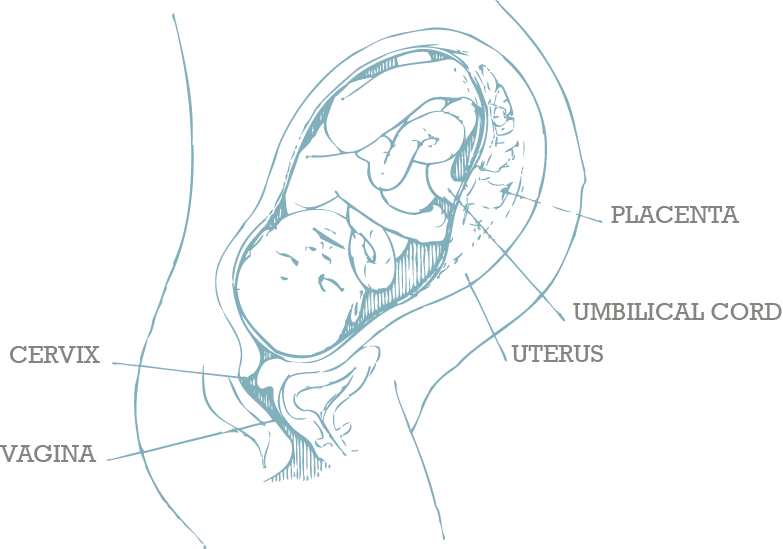 No one knows the exact cause of this condition, but it is not unique to pregnancy. However, it will go away once you have given birth. Daily exercise, massage and cutting down on caffeine may help with the discomfort. You may experience some swelling around this time. This can affect your hands, ankles and face and you may need to remove any rings from your fingers if they become too tight. Keeping well hydrated can help to alleviate some of the swelling. Keep and eye on any sudden or extreme swelling and headaches as these could be signs of Pre-eclampsia. If you suspect Pre-eclampsia then you should call your care giver immediately. As the baby continues to grow you may notice increased pressure on your bladder and therefore feel the need to urinate more often. Indigestion may be getting worse and as discussed previously this can be helped by eating small amounts rather than large meals and by taking something like Gaviscon. You may be feeling more hormonal or irritable, and perhaps concerned about the impending birth of the baby. It can be a good idea to talk through any concerns with a midwife or your partner. Braxton Hicks may be becoming more frequent and intense and you may be concerned from time to time that you are going into early labour. But as long as these Braxton Hicks are not accompanied by any other signs of labour (see Stages of Labour) and they remain manageable and without a pattern then they are nothing to worry about. Now might be a good time to pack your hospital bag! If you sign up for our FREE Online antenatal classes you will get a fantastic download which tells you everything that you need to take to hospital for you, your new baby and even your partner! Hint…they need snacks and a charger!